Kettler is a renowned brand which has won millions of hearts. Kettler Limited, a part of the German manufacturing group Heinz Kettler GmbH & Co was established in Germany in the year 1949 and has been operating in the UK for over 20 years. Heinz Kettler GmbH & Co has around 3500 employees at its manufacturing sites throughout Germany, and its subsidiaries worldwide.Kettler products are globally recognized and symbolize quality, style and durability. Whether you are looking for fitness equipment or garden furniture, a table tennis table from the famous Kettlers, you can buy confidently in the knowledge that you will be the owner of a product designed to give years of pleasure. All the products are guaranteed and are backed by a full after sales service in the UK. 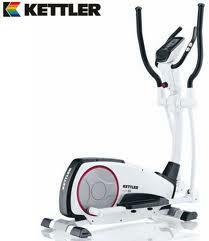 Kettler fitness’s products can be found at most of the leading retailers. You can even buy their aluminum bicycles through various on-line stores worldwide. Kettler products Price starts from £1,299.00 .Kettler treadmills come with a 3 years parts and labor warranty.